These type of house improvements are usually done either out of necessity because the rooms have problem (too old or too small) or a simply a desire to have the ‘dream’ kitchen or bathroom in the house. Broadly there are 2 options: Renovate & Renew or Fully Replace. Renovation could mean something simple like painting & decorating, re-grouting wall tiles or changing cupboard doors and for basic tasks like this you could either do it yourself or employ a local handyman and there are companies that just do replacement doors for cupboards. A full replacement is much different in terms of costs and the amount of work involved – from choosing your layout and appliances to how to dispose of the old kitchen or bathroom that is being replaced. 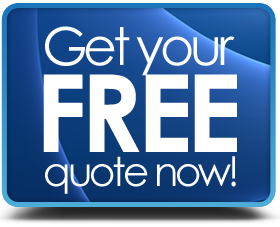 Get Quotes – at least 4 or 5 quotes in writing. For some good deals on fully fitted kitchens & bathrooms it could be a good idea to visit a manufacturer or distributor showroom and discuss options for purchasing one of the ex-display models, as they often change their displays and sell them off at a hefty discount. Alternatives to bespoke companies that offer great design choice and price ranges are places like Magnet, Homebase, Wickes, or Ikea to name a few. Most will offer supply only plus an option for supply & installation. Whether you are using a specialist company or an independent contractor to install your work you should check that that where plumbing & electrical work are being done the contractor is suitably qualified & insured. Fully Installed Kitchens & Bathrooms. Competitive Written Quotes from Local or National Companies.